Senaka is your local Riverton Building Inspector. Senaka, a graduate in Quantity Surveying, Post Graduate Diploma holder in Project Management and Diploma holder in Building & Construction (Builder’s Registration), has over 24 years of experience in the building and construction industry. His extensive experience in construction industry and in depth knowledge of building technology, codes and standards is well suited to building inspections / consultancy services. 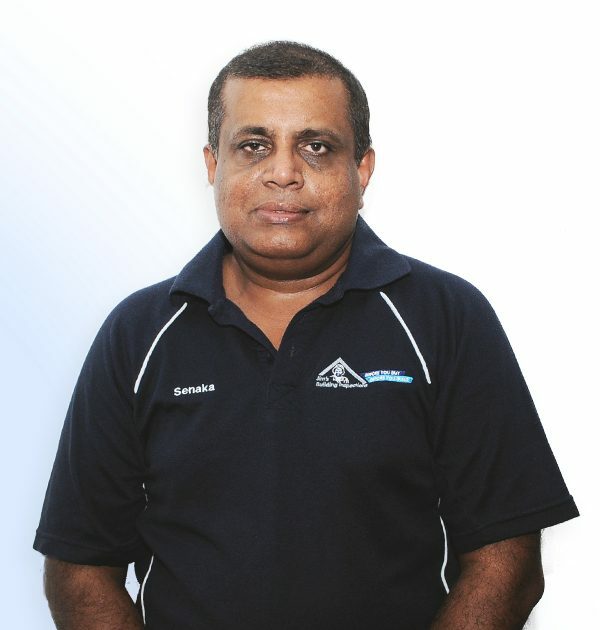 Senaka is a Chartered Quantity Surveyor and an Associate Member of Australian Institute of Quantity Surveyors. He is also a Registered Tax Agent specialising in Tax Depreciation and Capital Allowance for residential and commercial investment properties. He is also a qualified termite and asbestos inspector and offers a wide range of commercial and residential inspection / consultancy services that includes but not limited to Pre-Purchase Building Inspections, Termite Inspections, New Construction Stage Inspections (Slab, Brick work / Frame, Roof, Lock up and PCI/ Handover), Dilapidation Inspections, Asbestos assessments and sampling / testing, Property Condition Reports, Contract documentation / administration etc. • ATO compliant Tax Depreciation and Capital Allowances Schedules for residential and commercial investment properties. Senaka is looking forward to working with local real estate agents, conveyancers and mortgage brokers to ensure that people can make informed decisions about the properties they are planning on buying, building or renovating. He is fully insured with complete Public Liability and Professional Indemnity insurance for client’s peace of mind. Married with three children, Senaka enjoys playing golf and cricket whenever he gets some free time.